2013 marks the 50th anniversary of Beatlemania, with their first number one, and their first album. From the time they were formed in 1962, through to their break-up eight years later, the Beatles were associated with a multitude of items, places and people. 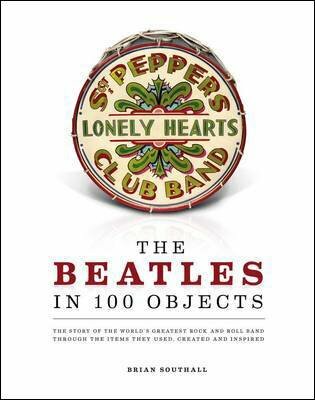 This illustrated collection focuses on 100 of the most important of those 'objects' - which heralded landmark moments, career changing achievements or curious episodes in the life of a Beatle. From tickets to records, instruments to memorabilia, clothes and the stories and histories behind them - including the drum kit Ringo purchased in 1960 and a copy of 'My Bonnie' (the band's first professional recording) and a ticket for Candlestick Park (the Fab Four's last concert); here are 100 amazing objects that tell the story of the Beatles as never before.